Blogtown: Paddle The LA River! 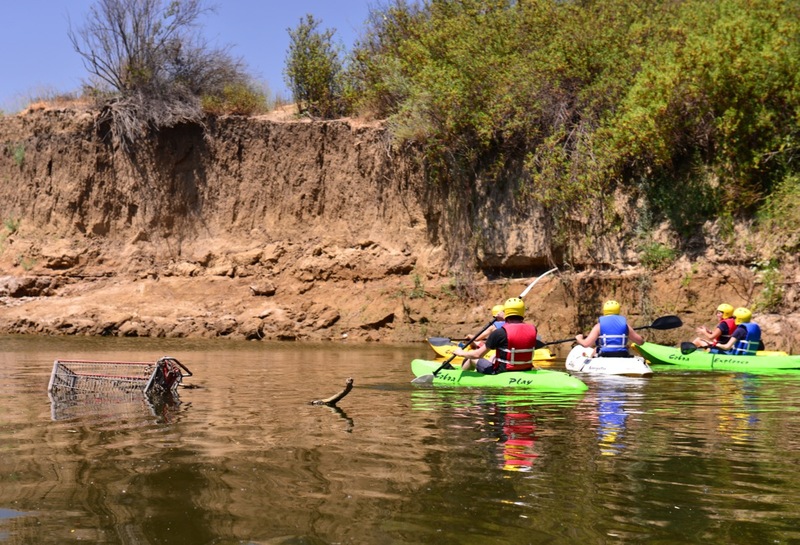 When I was invited to go kayaking down the LA River last weekend, I jumped at the chance. I love some paddling, I love some nature, and I was super curious about what it's like in that river these days. The Paddle The LA River season starts tomorrow, and runs through September 20th this year. 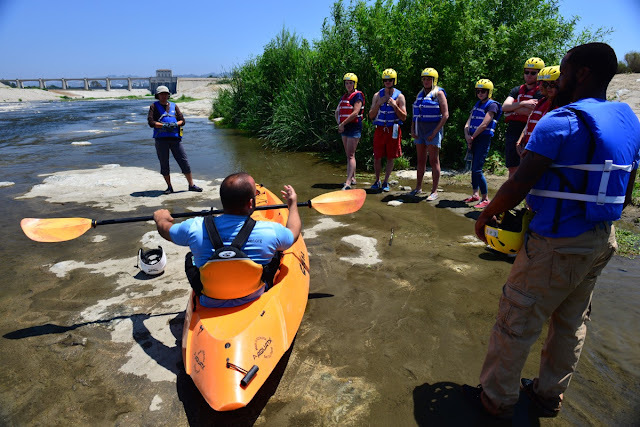 The LA Conservation Corps runs the excursions down the river, and has been serving at risk youth and their communities since 1986. In 2009, the LA River Corps was formed to get city kids outside, helping with river cleanups, graffiti removal, and vegetation management in the river, all beyond necessary endeavors. 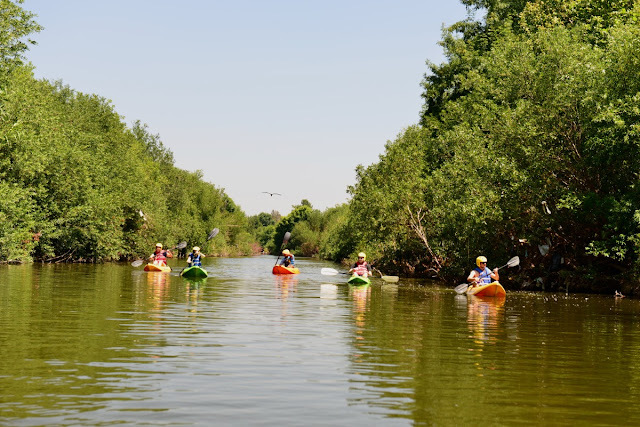 The kayak trips launch out of the Sepulveda Basin, and you meet up at Lake Balboa Park in Encino. We joined our group in a van that shuttles you to the launch site, where you get a little history and instruction before you set off up the river. I say up the river, because it's a round trip and you paddle down and back. The current is so gentle that this is not nearly as hard as people familiar with rivers might think. We got all geared up with kayaks, paddles and helmets (not really necessary in my opinion, there are no rapids or anything, but I guess some people hit themselves in the head with paddles or the stray golf ball from nearby courses might bonk you in the head), and off we went. 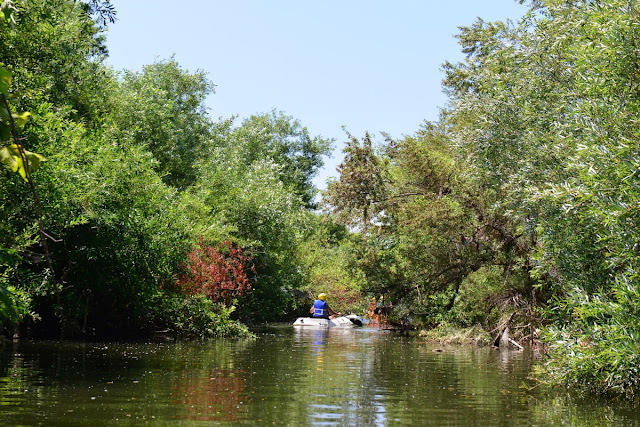 I love to canoe (I'm from Minnesota), and rowing across the water in the sunshine and nature were a complete joy to me. It even felt like Minnesota in some parts, which came as quite a surprise being in the dead center of the LA River. As it is the dead center of the LA River though, you do see some signs of the urban blight, which is another good side effect of this adventure. It brings awareness to the absolute need for people to start caring - and acting - more for their nature, for their water. For each snowy egret we saw, there was a red balloon. For the thrill of seeing the giant blue heron, we also saw the depression of the grocery cart sticking up out of the water. 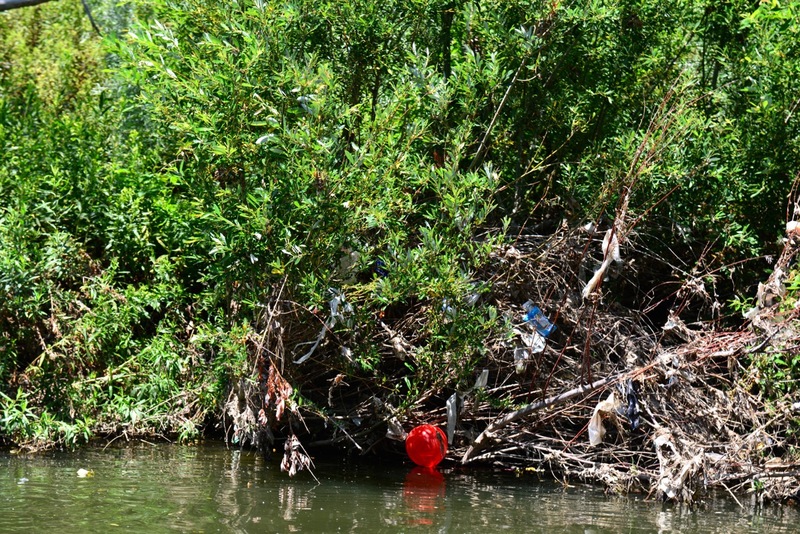 It seems that people have still not made the connection between littering and our water. Storm drains wash things into the river. The river washes things into the ocean. This doesn't happen when people dispose of things properly. Think about it. Stop it. Since the plastic bag ban went into effect in Los Angeles in 2013, our guide, Antonio, told me that he thinks things have improved some 70% in the river. We still saw plenty, so I can only imagine what it used to be like. Ugh. It's a round trip because it's an easy current, but also because there's only so much water. The drought has greatly affected the river, and thus, you can only go so far before you'd have to get out and portage your kayak for miles to the next stretch of water. 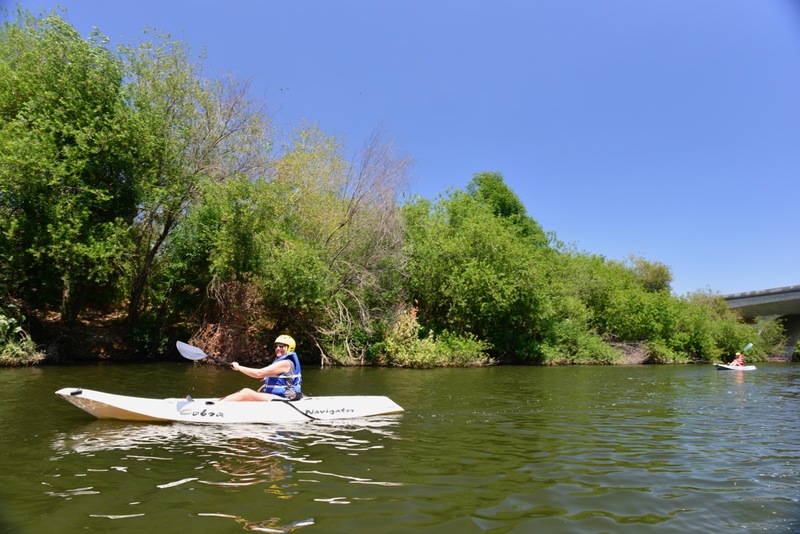 The area where you go paddling is the soft bottomed part of the river, the part not buried in concrete, where things can grow. 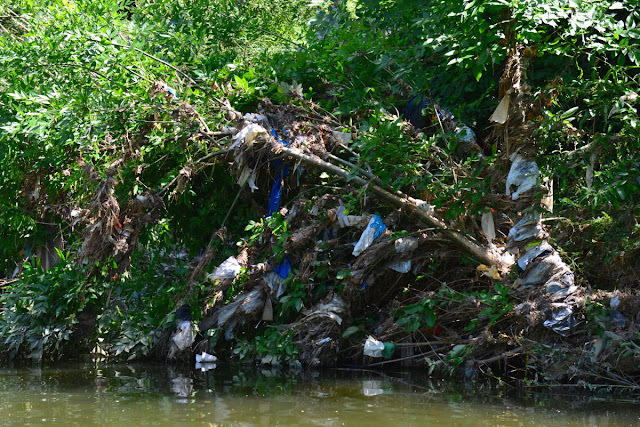 The great and informative guides told us that contrary to popular belief, the river is actually pretty clean. "If it wasn't clean, you wouldn't see life." 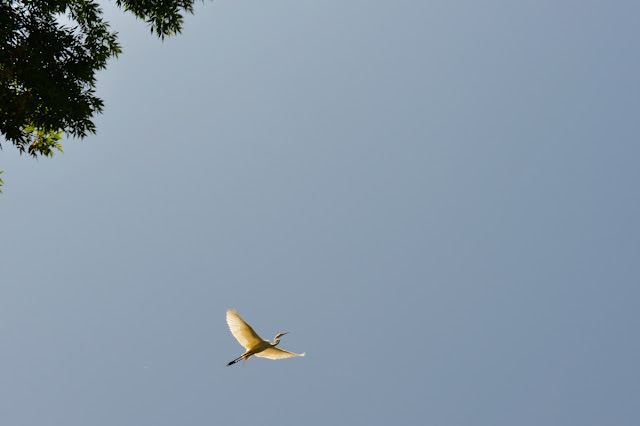 And we saw plenty of life ... fish, many birds, and even a trio of fisherman along one bank! They were quick to mention that it was for fun and relaxation and they wouldn't be dining on their catch of the day, but it was still cool to see. One young lady in our party capsized her canoe in the deep section of the river when she got too close to some trees, and went completely under. When I talked to her afterward, she was laughing, and not glowing green with radioactivity, so I think things have really improved. The trip took about an hour and a half, and I would love for it to have gone way longer. 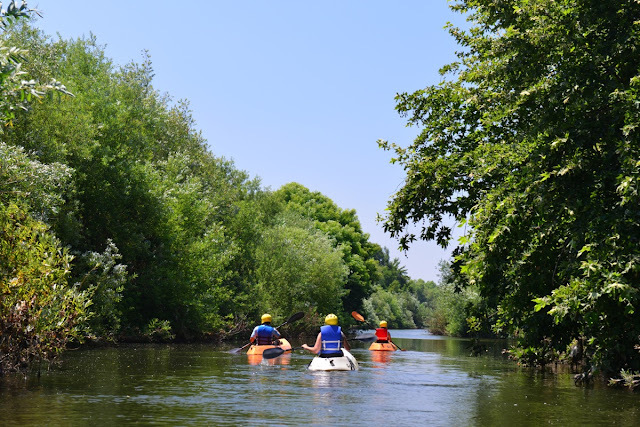 It was such a serene way to spend the afternoon, and being there in the river and seeing how humans have affected the ecology of this waterway, it really makes you both appreciate it and want to do something about it. You can't help it. 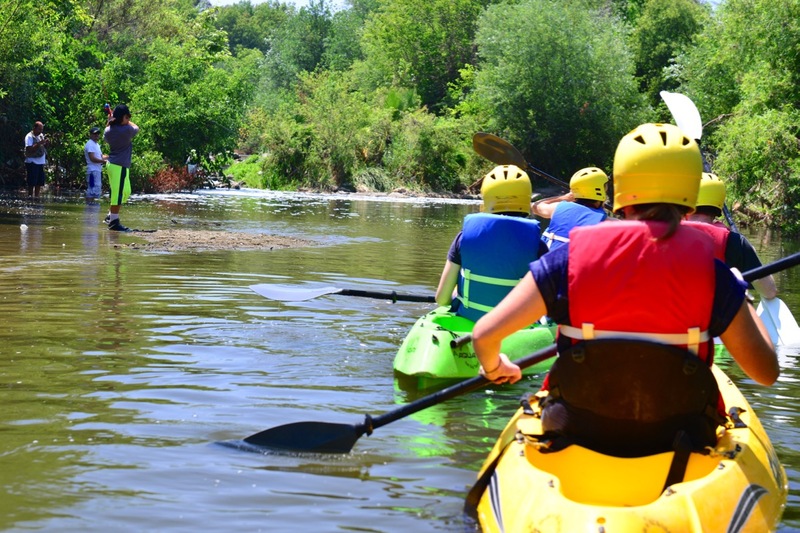 Summer is upon us, with all its opportunities for outdoor fun and adventure. 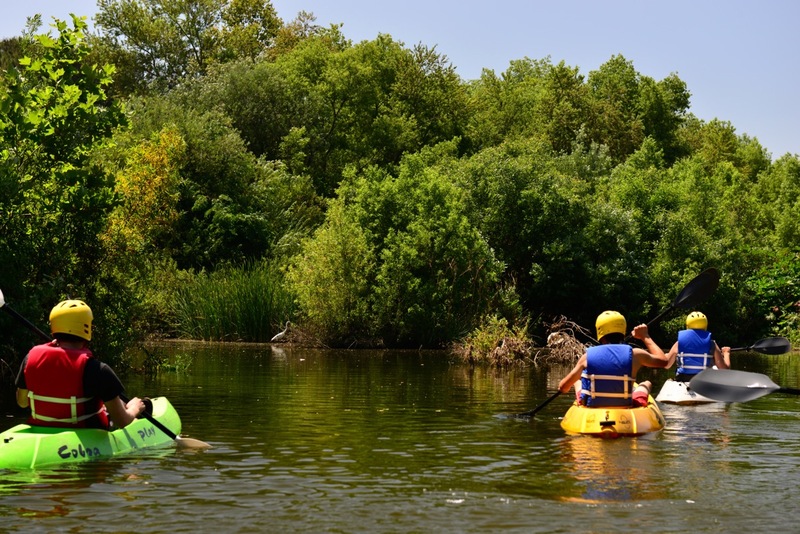 Please consider an afternoon of paddling the LA River, for the exercise, the nature, the peace, and for the peace of mind that comes with knowing you're helping to improve our natural waterways and the lives of at-risk youth with every stroke. 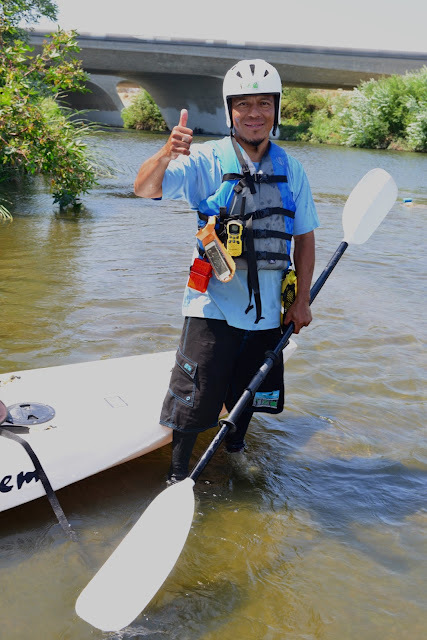 Paddle The LA River runs June 5th - September 20, 2015.